The diverse nature of Asia Pacific region makes it a favourable ground for many pharmaceutical companies to take foot hold in the region. The Political conditions and favourable laws make this entire region a positive region unlike the other regions. The impact of urbanization has allowed access to sophisticated healthcare infrastructure in the Asia Pacific region. One of the top research firms is of the opinion that, by 2025, 310 of the world’s top 600 cities will be housed in the Asia Pacific region. China will have the highest, which is almost 250 in number. Due to such positive forecasts, the impact looks obvious, and the growth in the region is sure. Economic growth, coupled with easier access to healthcare facilities and demand for better health care infrastructure will act as strong supporting factors to the growth of the region. The Chinese market growth is fuelled by factors such as incentives offered by the Government, changing healthcare infrastructure, and growing aging population. China, today is considered to be one of the prominent markets for pharmaceutical industry, due to the population, which is the highest in the world. The country is considered second to the US in terms of GDP and is one the largest economies of the world. Taiwan is considered to be a relatively small sized market compared to other markets in the Asia pacific region. Nonetheless, one the major markets for new entrants, providing safer entry points to plunge into larger markets. The political, economic and investment environment provide by Taiwan makes it a choice for many players to look at the market favourably. The overall environment will surely attract multinational drug makers. Despite being a relatively smaller market, the country has high pharmaceutical spending per capita and also provides a highly robust medical infrastructure. The growth of the Japanese pharmaceutical market, on the other hand has some impediments due to biennial drug price reductions. This scenario will continue as the government is trying to minimize healthcare expenditure. 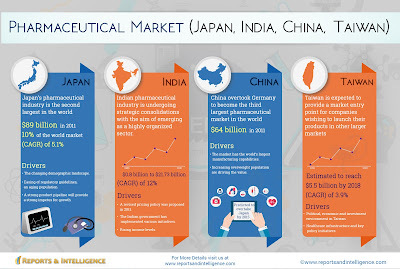 Generic drugs are also a cause of concern for the Japanese pharma market. Despite limitations, easing regulatory guidelines, growing aging population, and strong product pipelines will provide the necessary framework the market to grow in the future. The Japanese market was a closed market since 1990’s; however, relaxation of rules and regulations and entry of foreign companies has promoted investment in the country. India on the other hand is a greener market and has favourable environment, promoting the growth of the Indian Pharmaceutical market. 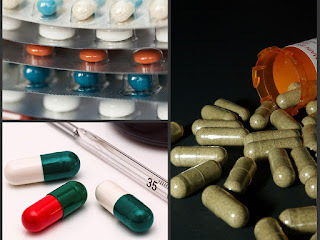 The growing purchasing power due to urbanization, market penetration into rural areas, and ease of access to healthcare facilities are attracting major pharma companies to park their investments in the country. Changing income levels among the middle class population, favourable patent laws, availability of skilled labour, etc. are the factors that has led the multinational companies to invest in the market. Considering all the factors, the Asia-Pacific region is one the very favourable regions in the world. There are many other factors that will help the region to grow during the forecast period. Among the emerging regions, Asia-Pacific will be a sure bet for multinational companies. 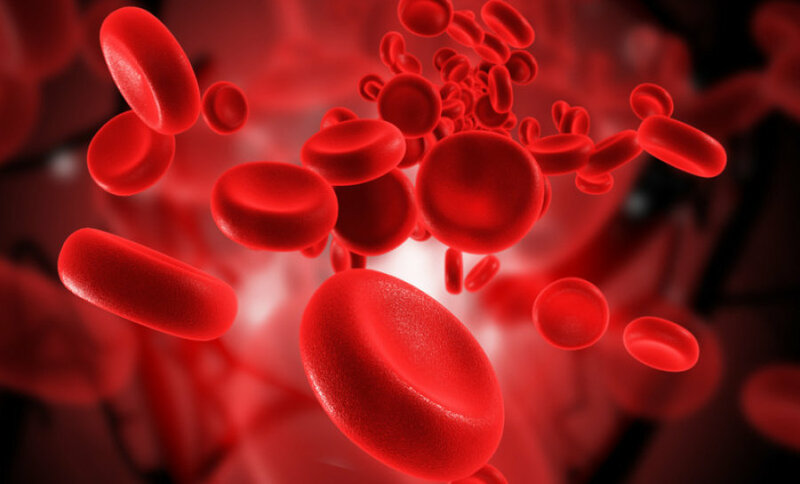 GBI Research has released its latest research, “Acquired Orphan Blood Diseases Therapeutics Market to 2019 - Search for Disease Modifying Drugs Central to Unlocking Premium Pricing Potential”. The report provides insights into the up-and-coming trends of a portion of the acquired orphan blood disorder pharmaceutical market by examining Idiopathic Thrombocytopenic Purpura (ITP), Myelodysplastic Syndrome (MDS), Myelofibrosis (MF), Paroxysmal Nocturnal Hemoglobinuria (PNH) and Polycythemia Vera (PV) in seven major markets: the US, the top five European countries (France, Germany, Italy, Spain and the UK) and Japan. The report includes market forecasts to 2019, detailed pipeline analysis, in-depth profiling of major products and details of recent industry deals. The MF market will be the fastest growing of the five markets during the forecast period, at a Compound Annual Growth Rate (CAGR) of 34% and reaching a total market size of $1.1bn in 2019. MDS represents the largest market, expected to reach $2.2bn by 2019. Leading business intelligence provider GBI Research has released its latest research report, entitled, “Cosmeceuticals Market to 2018 - Technological Advances and Consumer Awareness Boost Commercial Potential for Innovative and Premium-Priced Products”. The report provides insights into the global cosmeceuticals market, which comprises the top seven developed markets: the US, the top five European countries (the UK, Germany, France, Italy and Spain) and Japan, with market forecasts until 2018. The report gives an overview of cosmeceuticals, covering the common ingredients used and important regulatory guidelines followed. It also analyses important market and industry trends that might drive the market in the future. The report is built using data and information sourced from proprietary databases, primary and secondary research and in-house analysis by GBI Research’s team of industry experts.GBI Research found that the global cosmeceuticals market was estimated to be worth $30.9 billion in 2011, having grown at a Compound Annual Growth Rate (CAGR) of 3.6% from $24.1 billion in 2004. In 2011, the top five European countries accounted for almost 65% of the overall cosmeceuticals market, followed by the US. This is mainly driven by the obsession with maintaining a youthful appearance, better results of cosmeceuticals, heavy marketing, slow economic improvement, and rising per-capita disposable income. Cosmeceutical brand growth is further driven by expanded markets in Asia-Pacific, digital marketing and the offer of personalized customer experiences and e-commerce. Demand is driven by the emergence of the urban middle class with increased incomes, affordability and urbanization who demand efficient products and luxury brands. Anti-oxidants remain one of the most popular ingredients for skin care and are now being included in other healthcare regimens for their perceived benefits to overall health. GBI Research, the leading business intelligence provider, has released its latest research, "Oncology Therapeutics Market in India to 2018 - Introduction of Market-Based Pricing to Fuel Price Wars and Intense Competition Among Domestic and Multinational Players", which provides in-depth analysis of the key therapeutic indications of oncology, breast cancer, colorectal cancer, prostate cancer, lung cancer and Non-Hodgkin’s Lymphoma (NHL), with forecasts until 2018. It also looks at treatment usage patterns and includes insights into the oncology R&D pipeline. South Africa is considered as a fast growing market in the Global Pharmaceutical Industry Landscape. In the year 2010, the country was officially considered as a developed economy. Though there is an economic situation in many emerging economies, the South Korean market has managed to sail through and has shown itself as a good destination for investment. 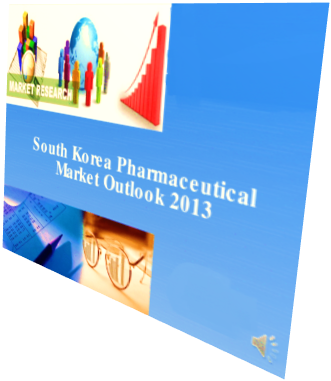 Latest report on South Korean Pharmaceutical market states that the South Korean market is 10th largest market in the globe. The country has strong local players with formidable portfolios of generic drugs over expensive branded drugs. The domestic drug companies are strongly sticking to the concept of providing inexpensive generic drugs to maintain their strong hold in the market. The growing insurance coverage, ageing population promoting healthcare expenditure in South Korea, and government initiatives that are favouring the development of the industry are some of the major factors that would contribute the growth of the market. Multinational companies are taking advantage of prevailing opportunities in the country due to conducive market conditions in the South Korean regions. The free trade agreement signed by the South Korean government with countries such as USA, Europe and India is further making the region a favourite for multinational companies. The aforementioned positive indications has led the investing syndicates to be favourable towards the South Korean market. Transparent government policies and enforcements, and competitive pricing platforms in the private sectors would further add to the growth of the market. Though there are cases where patents are expiring for the ADHD therapeutics, yet the market is still green about the future of the therapy. Attention deficit hyperactivity disorder (ADHD) has been in news since a decade now, and the publications pertaining to the same have steadily increased. 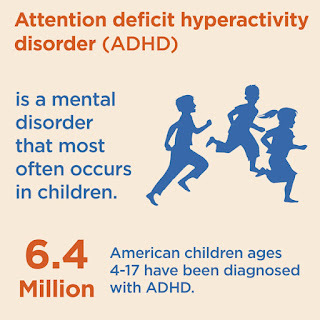 ADHD in children, is an attention deficit disorder where a child is unable to focus on anything for a long time. This impacts the overall effectiveness of the child and leads to frustration and sense of digestion in the child. Lately, ADHD Symptoms are also found in adults and considered as one of the more common adult psychiatric disorders. As it is a case with most mental disorders, it is difficult to trace the exact cause of ADHD disorder. It has nothing to do with parenting and child rearing; therefore, parents should not blame themselves for the situation. Some light can be shed that would allow tracing the symptoms of ADHD and they are genes, nutrition and food, brain injury, and also the environmental conditions. Over the years, changes in the criteria of diagnosis has reduced the symptom threshold, which was otherwise high, and is also being accepted in clinical settings. The adults who were less privileged earlier are no more limited in treating the case, instead, are now gaining access to better treatment for ADHD condition. A study states that almost 4.1% of the Adults in the US suffer from ADHD, and out of these cases, almost 41.3% of the cases are found to be server and definitely need treatment. The use of Extended-Release (ER) stimulant drugs have been dominantly used in treating the condition. It has been found that the treatment is almost 70-90% effective in treating the patients suffering from severe conditions. The simulants used can be potentially be abused in some cases. Non simulants are used in patients who don’t respond well to the treatment due to poor cardiac history or also because of the need for non-simulant medication. Nevertheless, the efficiency of non-simulants are comparatively lower than the simulants. The potential gaps in the treatment are being addressed in the present pipelines. It is forecast that 3 non-simulants are entering the market during the forecast period. SHP465 is also another potential treatment that might bridge the prevailing gaps in the market. The growing prevalence of ADHD in both children and adults will be the primary motivating factor that would propel the growth of the market, and not the drug approvals. The ever increasing population that is eligible for treatment is the undercurrent for the market growth. Based on the prevalence of cases of ADHD, it can be safely assumed that this market has a tremendous potential for growth. The forecast states that the market could reach up to $9.4 Billion by 2020. GBI Research, the leading business intelligence provider, has released its latest research: “Critical Care Therapeutics in Major Developed Markets to 2020 - New and Late-Stage Four-Factor PCCs and Recombinant Products to Drive Market”, which provides in-depth analysis of the critical care market in the US, UK, France, Germany, Italy, Spain, Japan and Canada. The report provides an estimation of market size for 2013, along with market forecasts to 2020. It covers critical care indications that are being treated using the five major plasma-derived products of albumin, anti-thrombin concentrates, factor XIII concentrates, fibrinogen concentrates, and prothrombin complex concentrates. The total value of the critical care market in the major developed markets was estimated at $1.8 billion in 2013 and is expected to grow at a Compound Annual Growth Rate (CAGR) of 4.7% to $2.5 billion in 2019. This growth is attributed to the recent approval of new factor concentrates in the US that are expected to witness increasing uptake in the forecast period. Factor concentrates are increasingly preferred due to their lower infection risks over older alternatives such as FFP and cryoprecipitate in critical care settings.